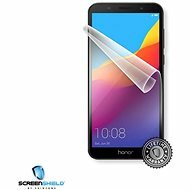 Screen protector - 100% scratch immunity, lifetime warranty, extreme durability and full transparency, the film does not change the colours of the display, the screen with the applied film will get less greasy, it will cover the already created minor scratches. 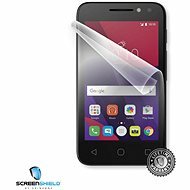 The Screenshield protective film reliably protects your phone's screen from any kind of scratches. It is perfectly transparent and can even cover pre-existing small scratches. What's more, it does not distort the screen's colour spectrum and does not contain any filters. The film is made in such a way that the functionality or reaction of your touch devices is not affected, even when playing dynamic games. 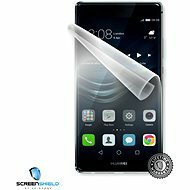 With ScreenShield, your device will always look as good as new. For shipping to other EU countries visit this page ScreenShield for Samsung Galaxy S4 Active (i9295) for the phone display. Für Versand nach Deutschland, besuchen Sie bitte ScreenShield für Samsung Galaxy S4 Active (i9295) für das Telefon-Display. Chcete doručit zboží do Česka? Prohlédněte si ScreenShield pro Samsung Galaxy S4 Active (i9295) na displej telefonu. Chcete doručiť tovar na Slovensko? Prezrite si ScreenShield pre Samsung Galaxy S4 Active (i9295) na displej telefónu. Für Versand nach Österreich, besuchen Sie bitte ScreenShield für Samsung Galaxy S4 Active (i9295) für das Telefon-Display. Magyarországra történő kiszállításért tekintse meg ezt a termékoldalt: ScreenShield Samsung Galaxy S4 Active (i9295) képernyőre.